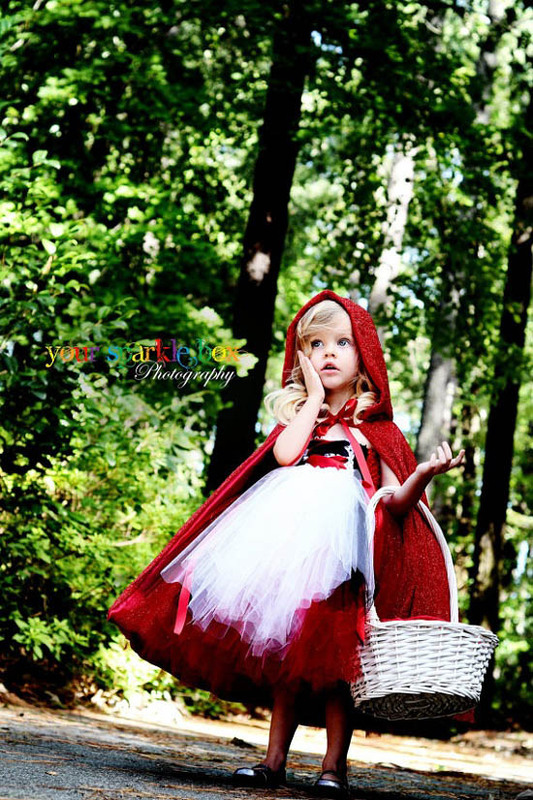 I have ONE Little Red Riding Hood Costume, READY TO SHIP! 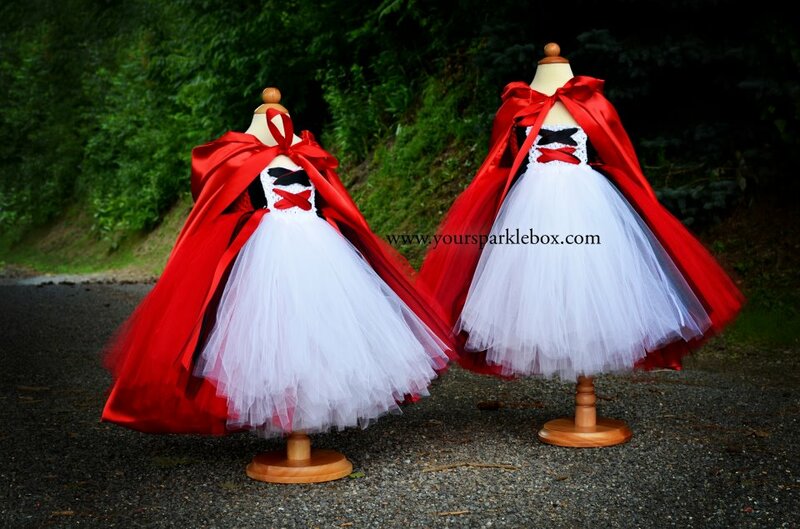 It includes the dress and the matching reversible, all satin cape in vibrant red shown in the bottom photo. This dress will fit sizes 12-18m (ankle length) or 2t (tea length).